Colin took this photograph of a female Brown Argus on 10/08/2017 at Lydlinch Common. Colin tells us that this species is not often seen at this site and knows this because he walks it regularly for Dorset Butterfly Conservation. 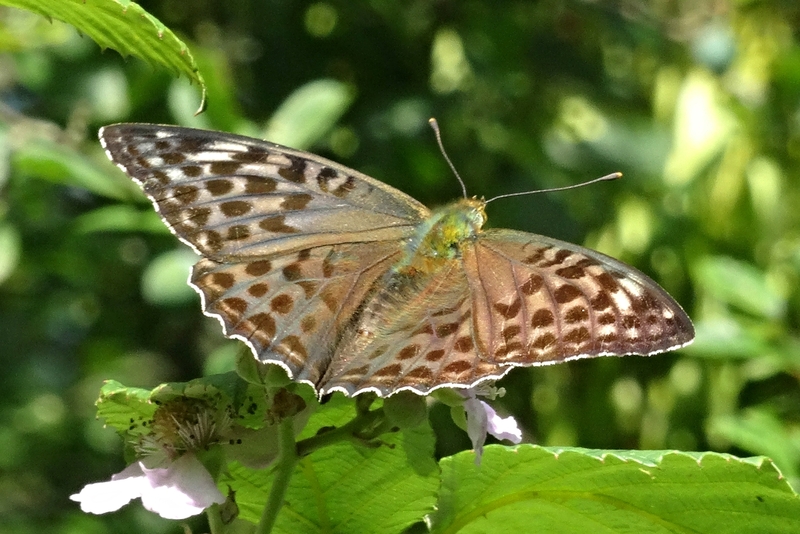 It is a very difficult butterfly to identify unless you have clear sightings of the unf, under fore-wing. The difference between this species and the Common Blue, which it can be mistaken for, is the lack of a black spot near the base of the unf. This is an excellent photograph as if there was a black spot present. it would be clearly visable. This entry was posted in Gallery, Sightings and tagged Large Skipper, Lydlinch Common on May 31, 2017 by Lyn Pullen. A terrific shot of a Common Blue with it’s wings closed at Lydlinch Common on 01/08/2015, it was however, the only one Charles spotted during the one hour he spent on the common. 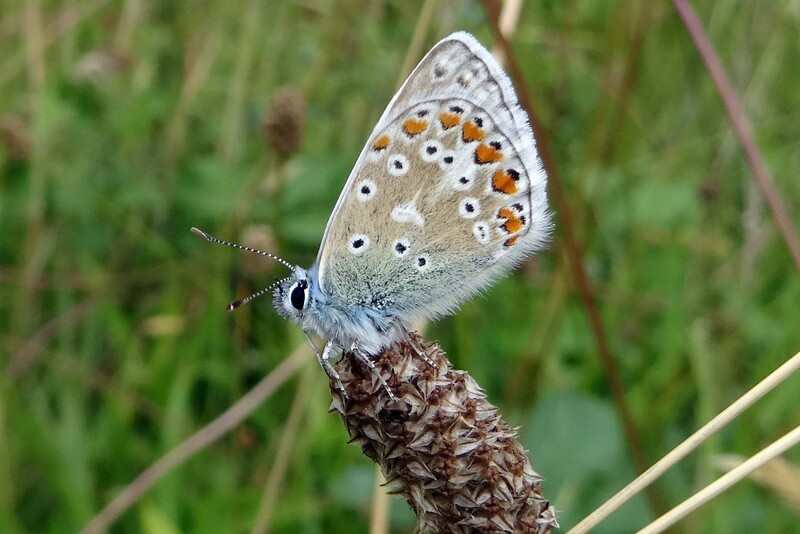 This entry was posted in Gallery and tagged Common Blue, Lydlinch Common on August 6, 2015 by Andrew Cooper. 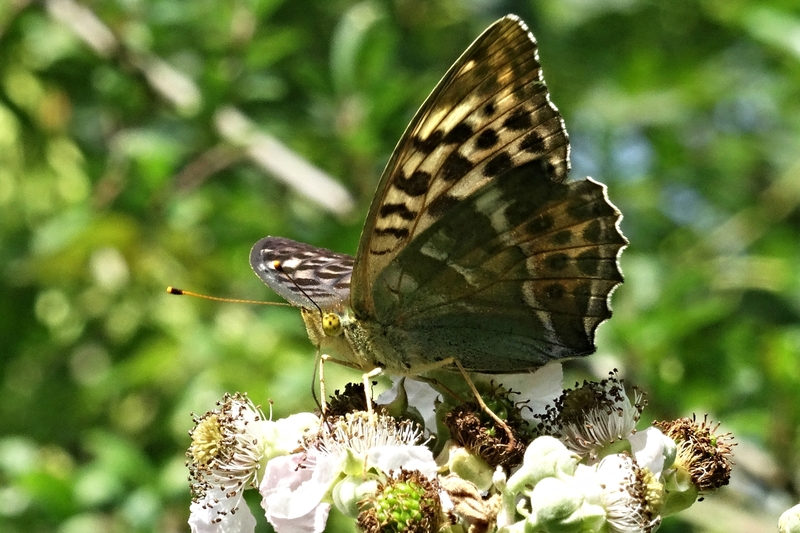 Two images taken on 21/07/2015 at Lydlinch Common, of a female Silver-washed Fritillary of the form valesina that occurs only in female butterflies and even then, only in a small percentage.